Thanksgiving is a time of family traditions. We talked to students and professors at Salt Lake Community College to find out how they enjoy the Thanksgiving holiday. Professor Paul Skousen celebrates Thanksgiving with his family on the previous Sunday; he and his wife don’t have to compete with the other parents on who gets the kids for Thanksgiving every year. Skousen has a few Thanksgiving traditions. One is that each member of the family sits down with seven corn kettles apiece, and for every corn kettle each person shares something they are grateful for that year. The lists are written down so they can reflect on what was said each year. Skousen has been doing this tradition since he got married 38 years ago. “This tradition has been passed down from my wife’s parents and we have passed it down to our kids,” Skousen says. Skousen and his family also hand cut a Christmas tree the Saturday before every Thanksgiving in Evanston, Wyoming. He also has to have the football games on all day, especially when he is eating his favorite Thanksgiving food: green bean casserole. Mayra’s tradition is to help cook food with her mom. “There [are a lot of] members in my family so there is a lot of food to be cooked,” Mayra says. During Thanksgiving they do not watch football; they enjoy talking with each other and eating lots of food. Carlos Artiles, a SLCC student from Gran-Canaria, Spain, will fully celebrate Thanksgiving for the first time; he will be going to his parents-in-law’s house and they always have a really big Thanksgiving. Brook Cummings-Arnold, a SLCC student from Salt Lake City, celebrates Thanksgiving at her home on Black Friday and she calls it a misfit Thanksgiving dinner; this is a tradition that she started about five years ago when she was invited by one of her friends to their misfit Thanksgiving dinner. Brook’s misfit Thanksgiving dinner has a BYOF (bring your own food) or BYOB (bring your own bottle); Brook provides her favorite foods for Thanksgiving: a fried turkey, cranberry sauce and stuffing. This dinner setup provides for plenty of different types of food and drink. The other part of the tradition is that they play games, watch movies and most importantly, enjoy spending time with loved ones. “Be thankful for the now [because] tomorrow is not promised,” she says. TJ Stokes, a SLCC student from Coco Beach, Fla., celebrates Thanksgiving by flying to Santa Monica, Calif. with his family to visit his older brother for a week; this has been his tradition for the past four years. TJ’s favorite Thanksgiving food is his sister’s homemade five-cheese macaroni and cheese. “There’s nothing better than eating some of her tasty mac-n-cheese and hopefully watching my Cowboys win their football game,” Stokes says. 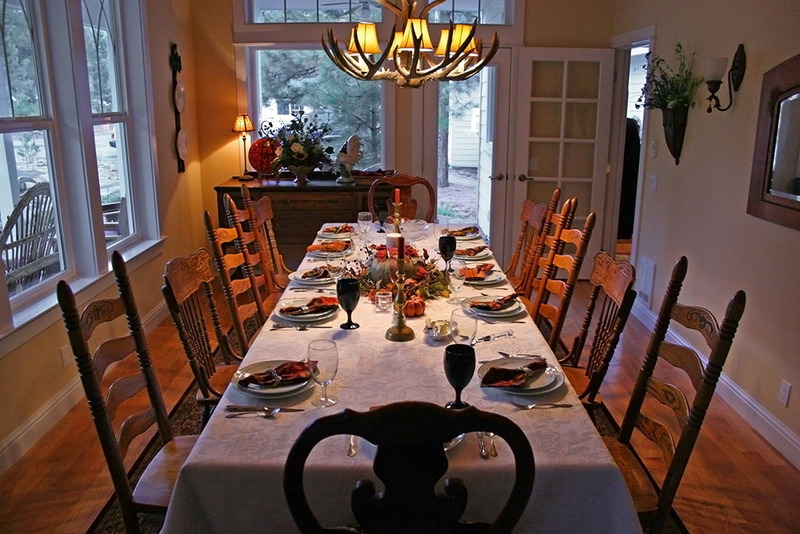 What are some of your Thanksgiving traditions? Share them with us on Facebook and Twitter.